Heat Detectors respond to changes in temperature and are better suited to smoky, dusty or steamy environment than smoke detectors. We have a comprehensive range of fixed, High temperature and rate of rise devices, making the range suitable for areas where the temperature fluctuates for natural reasons. ABS casing with red LED fire indicator. EN 54 Certified and CE Approved. The GFE-MCPE-C is designed to comply with EN54-11 compatible with all GFE conventional control panels. A bi-colour LED flashes Green when the unit is connected to a control panel and is illuminated Red when in Alarm. MCP from GENT are all with a 470- Ohm resistor and Normally open contact, complete with glass. Weather proof IP67. Semi-flush or surface mounting, Fully compliant with EN54, Part11, Resettable operating element option. Resistive and clean contact connections. GENT electronic bell for a wide range of uses. Metal casing available in Red or Grey finish. Suitable for semi flush or surface mounting. 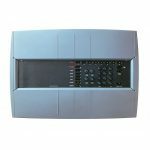 VULCAN 2 VOX C is a wall mounted Conventional voice Sounder which is available in either White or Red housings. Multi-Message, Follow Panel`s Sounder Programming. Multi-Language, 92dBA maximum output. Message easily programmed via USB interface using dedicated software. Synchronization for fast activation, compatible with most conventional panels. Installation of Conventional systems, Wiring, Conducting, Piping, PVC, Interlink with other systems. Testing & Commissioning, Maintenance, Annual, Semi Annual and Monthly service Contracts. The Global Fire JUNIOR V4 is a single loop Analogue addressable control panel which can be expanded to two loops. it provides a cost effective solution for small to medium sized installations. The JUNIOR V4 can support up to 125 addressable devices on each loop which are compatible with major analogue addressable communications protocols. There are also 16 zone Fire LED indicators. Advanced detection and communication protocols, Easy installation and maintenance, sleek low-profile housing, Durable sensor head, no need for replacement, SMD circuit board design, High Quality and reliability guaranteed. The Patented dual angle optical scatter technology allows identification of particle source filtering potential false alarms due to steam and dust. 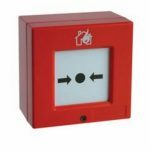 The gas sensing element (CO) within the chamber monitors the concentration of carbon monoxide, a product of incomplete combustion in some fire types and potentially life threatening. The ZEOS-AD series of Analogue Addressable Detectors have been designed to be fully compatible with the Global Fire Equipment range of intelligent control panels, JUNIOR and JUNO NET. Compliant to EN54-5 and 7 the ZEOS-AD series detectors are available in Optical. 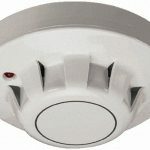 Heat and combined smoke/heat detector versions. Optionally they can be fitted with a short circuit loop isolator. MCPE-A is an Analogue Addressable Manual call point, designed and manufactured to comply with EN54-11 compatible with all GFE Addressable control panels. With its enhanced communications mechanism the typical response time when in alarm, is approximately one second, depending on the number of call points connected to device loop. 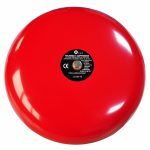 The Addressable VULCAN 2 DS is available as a detector sounder, Beacon or combined sounder /Beacon. This particular device permits a conventional detector to be connected to the addressable loop via the sounder and/or Beacon. There are also versions available incorporating a loop isolator. All VULCAN 2 DS devices have dip-switch Address setting while tome selection is via a jumper. Shadow Sounder and detector Sounder setting are also achieved using the 8 way dip switch and a jumper respectively. Installation of addressable systems, programming of addressable systems, Wiring,Conducting, Piping, PVC, Interlink with other systems. Testing & Commissioning, Maintenance, Annual, Semi Annual and Monthly service Contracts.